Are you planning a national park adventure in Yellowstone this summer? Don’t forget to visit the geysers. 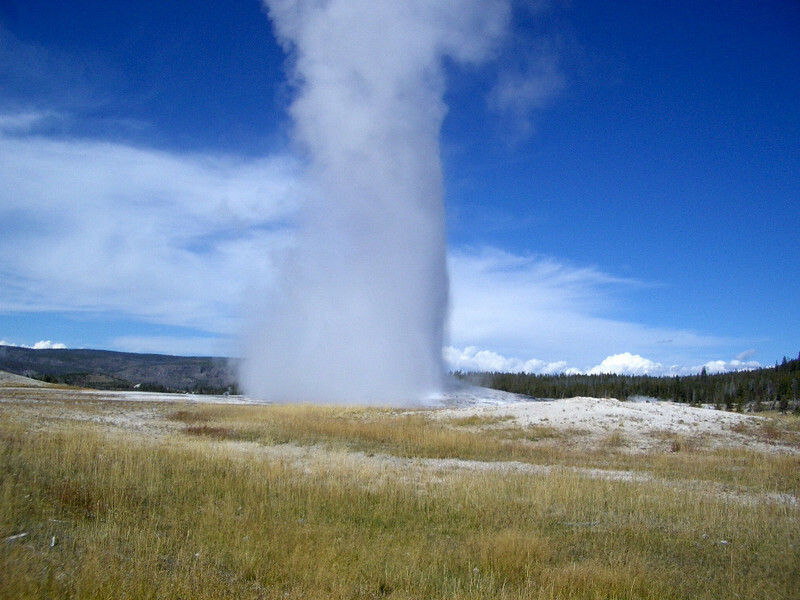 Did you know that Old Faithful, the world’s most famous geyser, is just one of 10,000 thermal features in the Wyoming park? When Alan and I made a fall trip to see the geysers of Yellowstone, we spent several hours exploring the Upper Geyser Basin, home to Old Faithful and so much more. 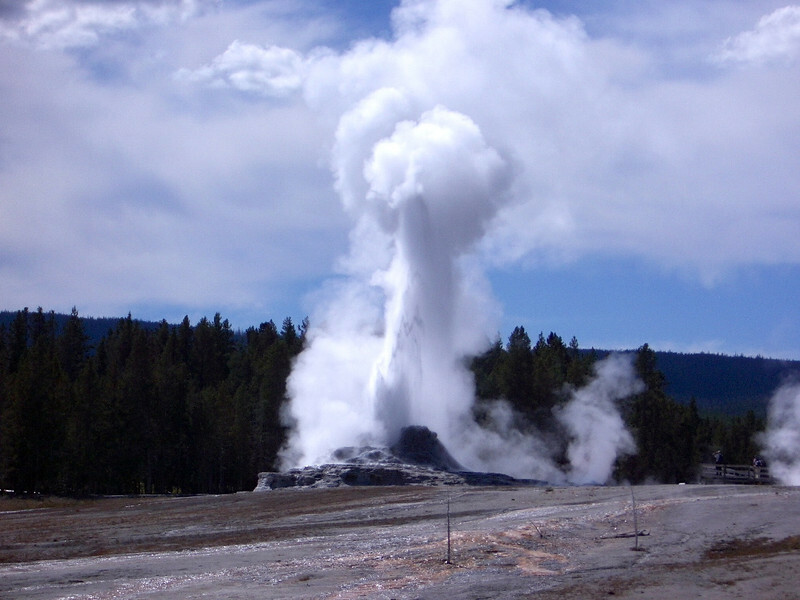 Contrary to folklore, Old Faithful does not erupt on the hour every hour. 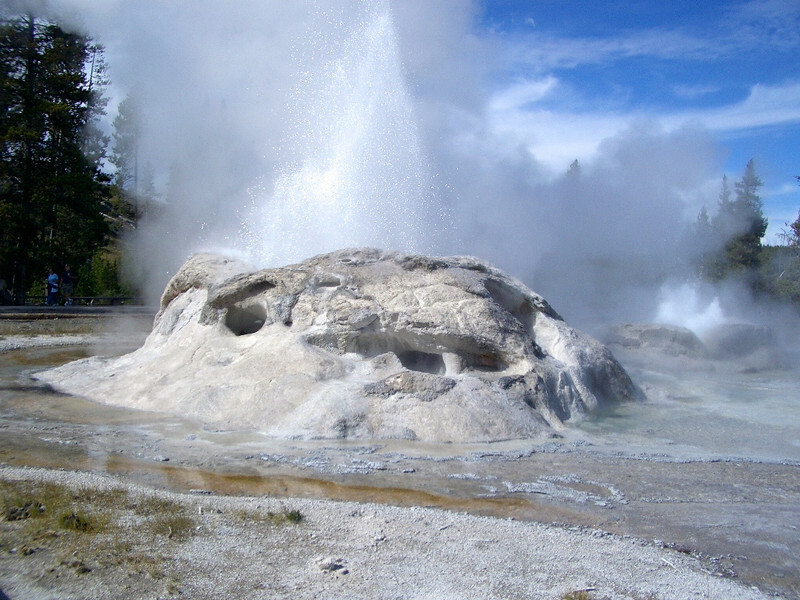 The cone-type geyser blasts off every 44 to 125 minutes, according to The Geyser Observation and Study Association. But don’t stop here. Continue your walk along the boardwalk of the Upper Geyser Basin to explore more of Yellowstone’s thermal features. On a walk through the Upper Geyser Basin, clouds of steam dot the landscape. Here, water blasts high into the air in a major eruption. Visitors will find that a ranger-led walk is well worth their time. 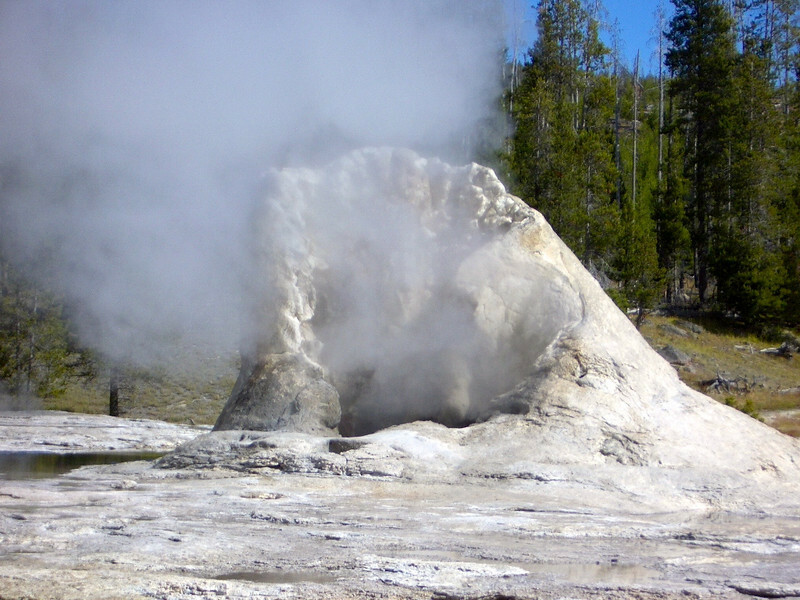 Steam seeps from another geyser formation. Does it smell? Yes, there’s a definite sulfur odor permeating the air. Clicking on the features of this Upper Geyser Basin map helps identify the major geysers in the area. Where does all of the steam come from? Much of Yellowstone sits in an ancient volcanic caldera. 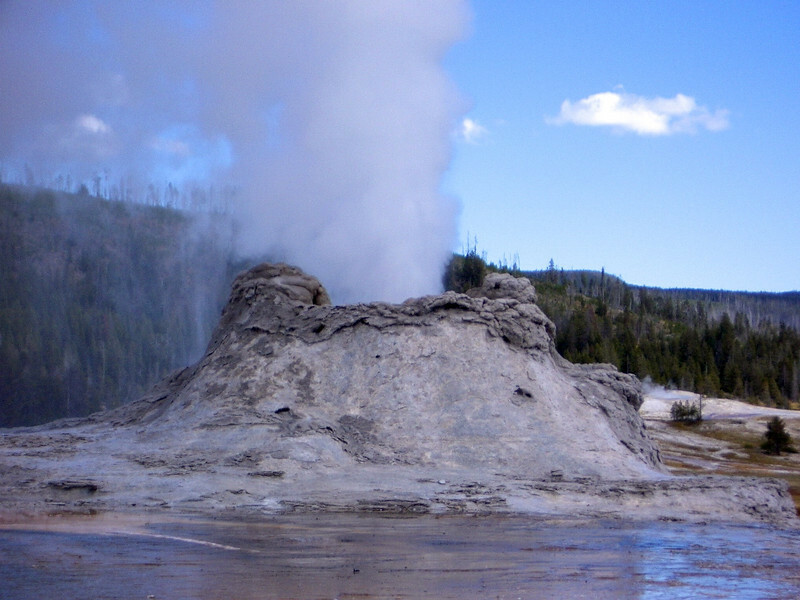 Recent earthquakes in the area have led to predictions of a major eruption; however, the National Park Service assures visitors that a trip to Yellowstone is safe. To dig deeper into the subject, check out the Yellowstone Volcano Observatory site. Photographers will find plenty of strange formations to photograph. Besides the Upper Basin, you’ll want to explore Fountain Paint Pot Trail in Lower Geyser Basin, Porcelain Geyser in Norris Geyser Basin and the pools in the West Thumb Geyser Basin. Have you explored Yellowstone National Park? Did you visit the geysers? Join the conversation at the My Itchy Travel Feet page on Facebook or send us an email to ask a question or share your experience.